My use of Allen wrenches/hex keys probably increased 10-fold after taking up photography. Hex bolts are everywhere – tripods, quick release plates, ball heads, sliders – if your photography gear has a bolt, there's a good chance you're going to need a hex key to loosen or tighten it. Until recently, my method of being prepared involved a small zip-top plastic bag kept inside my main camera bag's outer compartment which held every different hex key, bolt or miscellaneous part I thought I might ever need. And while the system worked, I often found myself without the hex key I needed when I needed it (having forgotten to replace it after use), or simply wasting time trying to sort through the assortment of tools to find the exact one I needed. Then I came across a video by Mark Wallace entitled "Gear and Tips for Overseas Travel" where he mentions keeping a small bicycle multi tool in his gear bag to cover his photography tool needs. I thought it was a good idea, so I thought I'd pick up something similar. The bicycle multi tool I chose was the Crank Brothers Multi Bicycle Tool (10-Function). It's a little larger than the one Mark carries, but it also includes a flat head screwdriver which I thought might come in handy at some point. So far, it's proved to be a very useful addition to my kit. If reduced size and weight are priorities, Mark's choice would be a better option overall. Of course, hex key sets have been around for a long time; they aren't anything new. 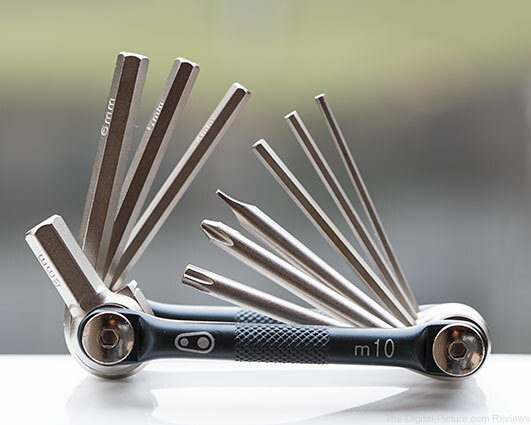 However, the addition of a few other tools – like the Phillips/flat head screwdrivers and Torx T-25 wrench – makes the bicycle multi tool a photographer's best friend. Vincent Laforet is a French American director and photographer. In 2002 he shared the Pulitzer Prize for Feature Photography with four other photographers as a member of The New York Times staff's coverage of the post 9/11 events overseas that captured "the pain and the perseverance of people enduring protracted conflict in Afghanistan and Pakistan." He has been sent on assignment by Vanity Fair, The New York Times Magazine, National Geographic, Sports Illustrated, Time, Newsweek, and Life. In 2002, PDN named Vincent Laforet as one of the “30 photographers under 30 to watch?. In 2005, American Photo Magazine recognized Laforêt as one of the “100 Most Influential People in Photography.” He is a DGA Director (Directors Guild of America) and of the ICG (International Cinematographers' Guild – Local 600.) Laforet has been awarded 3 of the prestigious Cannes Lions (Platinum, Gold, Silver) for his commercial directing work. Just posted: Zeiss Milvus 85mm f/1.4 Lens Review. This is my favorite Milvus lens. B&H has the Zeiss Milvus 85mm f/1.4 Lens in stock. In this video Chase from Zacuto gives seven simple steps on how to shoot a video interview on location and in the studio. Topics discussed include assessing the physical space, any ambient and/or lighting considerations, setting up lights and the types of lights you might want to use,’ choosing the right type of mics based on the shooting environment, camera positioning, and other details required to produce professional-looking video interviews. B&H carries all the gear you need to help create professional looking interviews. According to the Egami Blog, Canon has filed a patent for a CN-E 70-200mm f/2.8 lens for APS-C and Super 35mm sensor format cameras. Note that the lens will likely be marketed as a T2.8 lens to match their CN-E 15.5-47mm and 30-105mm lenses with the same image circle. The 10-Step Recipe for a Christmas Tree Photo and Merry Christmas!!! 5. 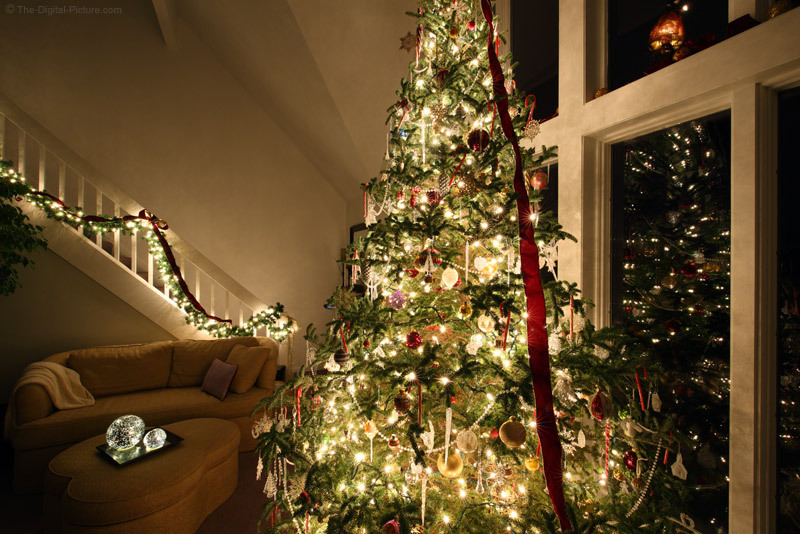 Turn off all regular lights, turn on all Christmas lights. 10. Make one more attempt at finding new compositions. My family and I wish you and your family a very "Merry Christmas!" May all of your photos be amazing! 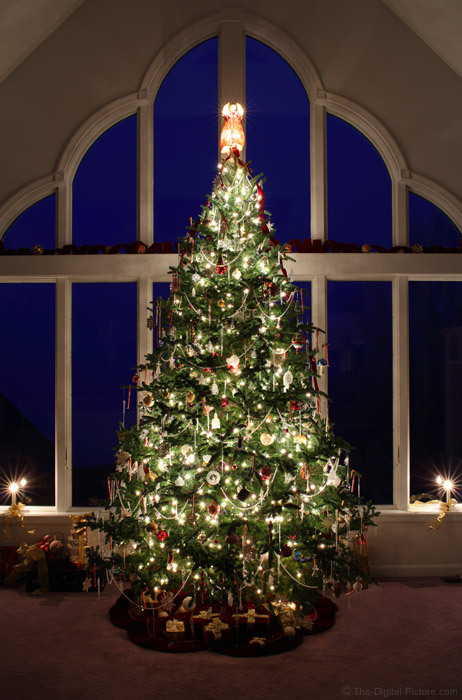 Permalink: The 10-Step Recipe for a Christmas Tree Photo and Merry Christmas!!! Canon Australia Presents "The Lab: Mindeframe –Think First, Shoot Later"
The most important tool for any photographer is the mind. To prove this we invited 6 photographers to a cemetery to capture “eternal life” in a single image…without a camera. Note from Sean: Camera companies don't generally advise you to put your camera down. But in this video, Canon demonstrates that planning and brainstorming without the camera in-hand can be an excellent technique for ultimately capturing the image that conveys an idea or tells a story in a more complete or unique way. What perspective should we approach the scene with? What elements do we include? What elements should be highlighted and which should be insinuated? Great images more often than not require a vision, and taking a moment to mold that vision without the camera in-hand may prove beneficial. Permalink: Canon Australia Presents "The Lab: Mindeframe –Think First, Shoot Later"
Image quality results from the EOS 5Ds R have been added to the Canon EF 85mm f/1.2L II USM Lens Review. With the Zeiss Milvus 85mm f/1.4 Lens in my hands right now, this is the comparison I wanted to see. 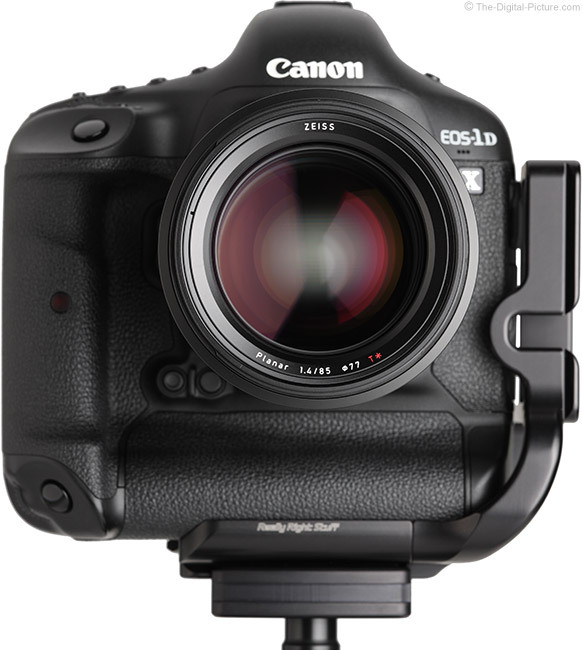 B&H has the Canon EF 85mm f/1.2L II USM Lens in stock with a $100.00 instant rebate. In this video, a photographer's detached lens hood is mistaken for a "second puck" in a game between the Ontario Reign and Bakersfield Condors hockey teams. Warning: If you plan on sticking your lens out of the photography port, be sure the lens hood is taped on securely or else leave it in the gear bag. According to the Egami Blog, Canon has filed a patent for a 16-40mm f/4 lens design. Might the EF 17-40mm f/4L USM's successor be in the works with an even wider focal length? Only time will tell. Can't figure out what to get a special photographer in your life? Need a last minute gift idea? A B&H eGift Card may be exactly what you're looking for. Each year my mother asks me, "So, what do you want for Christmas this year?" And for the last several years, my answer has always been the same – "A B&H gift card. You know it'll get used." I always said it with an involuntary smile because I knew it would help fund whatever was on my wish list that year (which of course was priced too high to actually request for the holiday). Buying a B&H Gift Card is now easier than ever with their new eGift Cards. Choose your delivery option ("Email" in this case), the card design, amount and fill in the recipient's information and your own. After purchasing, the eGift Card will be delivered to the recipient's email address within an hour (fast and simple). Not only is the eGift Card a perfect gift for any photographer to receive, but it's an equally perfect gift option for those whom might have procrastinated a little too long thereby missing the opportunity to ship a special gift by traditional means. If you look through Bryan's and my own favorite images, you won't see many abstract images. Typically speaking, our subjects are clearly defined and discernable (although our backgrounds may not be). When focusing on a specific subject (pun intended), the quality of your equipment and the sharpness your lenses deliver take center stage. Also, your subject and/or background must be visually compelling to grab the viewer's attention. But what if you don't have the sharpest lenses? What if you have become uninspired by your immediate surroundings (a common problem I face)? 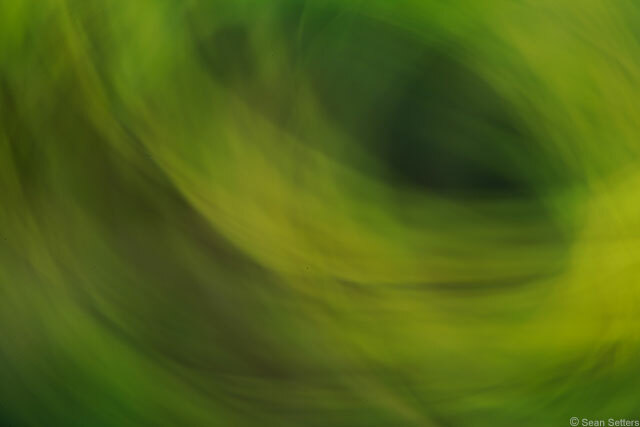 In October, I posted the Top 6 Ways to Inspire Your Own Creativity, but I recently realized I missed a big one – Abstract photography. With my camera set to Live View (Silent Mode), Av priority at f/1.4 and ISO 800, It seems that I miscalculated just how slow the shutter would be even with -1 stop of exposure compensation dialed in (I wanted the scene to look as dark as it appeared to my eye). Soon after pressing the shutter, I raised the camera to look at the LCD preview only to notice the end of the exposure happening at that time. The resulting "accident" was oddly captivating to me. 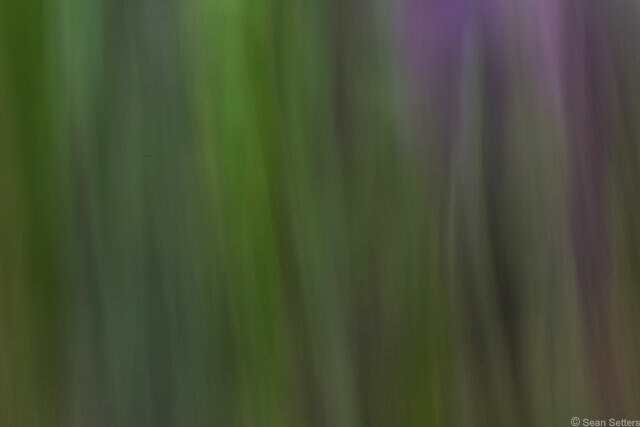 You can easily create interesting abstract photos with inexpensive gear. You can use very narrow apertures and significant motion blur to render subjects unrecognizable, yet still compelling. The abstract images created can be used in many different ways. 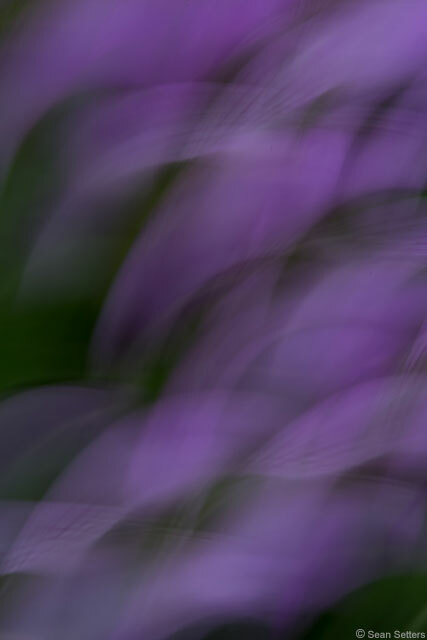 The quality of gear used for creating abstract images is largely irrelevant as sharpness isn't a priority. According to dictionary.com, "abstract" can be defined as "expressing a quality or characteristic apart from any specific object or instance" or "difficult to understand; abstruse." In photographic terms, an abstract image is one in which the actual subjects are not clearly discerned, and the easiest way to accomplish that is to blur subjects through motion (my personal preference) or bokeh. When doing so, the incremental sharpness of one lens over another is practically meaningless. And using motion blur and a macro lens, you can even create a relatively interesting image with something as mundane as a concrete patio (below). Of course, motion blur isn't the only way to render subjects unrecognizable. You can also use a wide aperture and unfocused subjects to create an interesting composition. 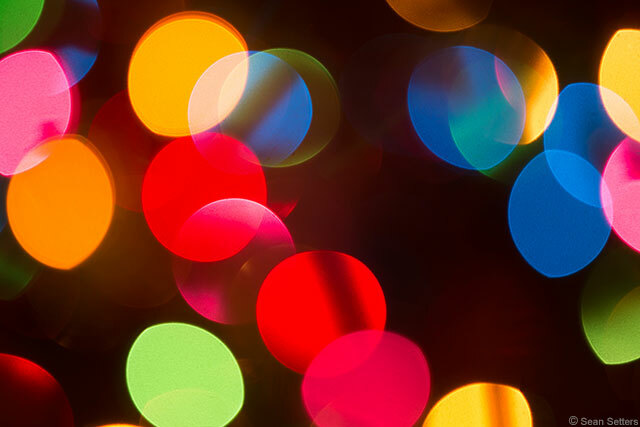 The Christmas holiday seems to provide ample creative bokeh opportunities. 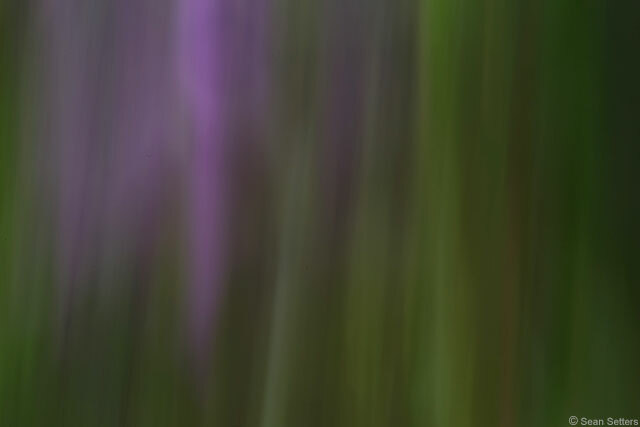 So what can you do with abstract images? Well, like any good image, a compelling abstract can liven up a blank space on your wall, but its usefulness does not end there. 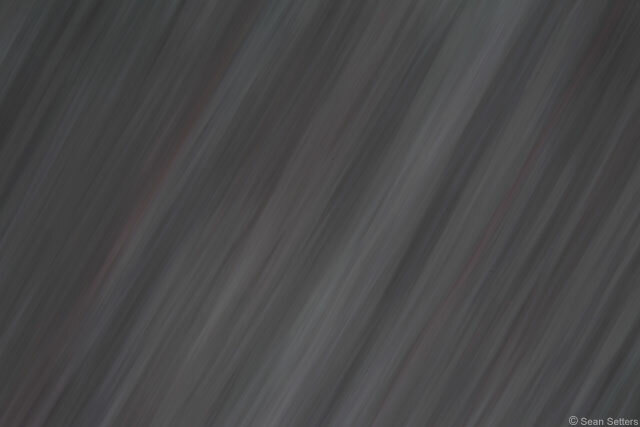 An abstract image can look great as a background for future portraits (either via post processing or via a Light Blaster) or they can be used for many generic stock image background needs and various typesetting projects. 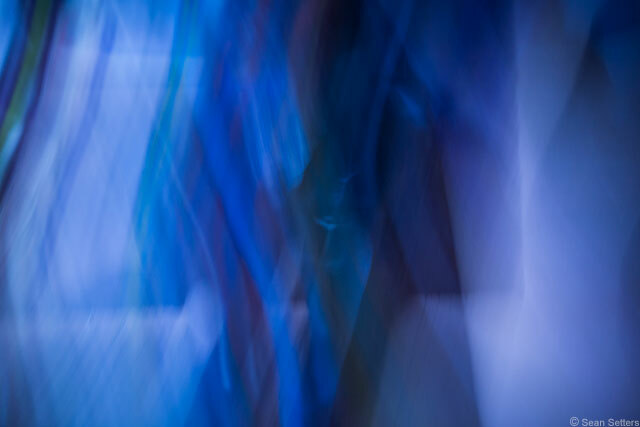 At the end of the day, creating abstract images can be a fun and fulfilling way to spend time behind your camera. Do you have abstract photos you'd like to share? Just add them to the site's Flickr group and tag them with "abstract". 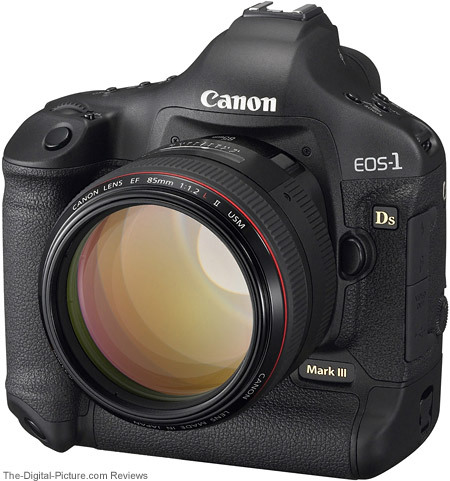 Image quality results from the EOS 7D Mark II have been added to the Canon EF 28-135mm f/3.5-5.6 IS USM Lens Review. I believe that this is the oldest Canon zoom lens still currently available new. 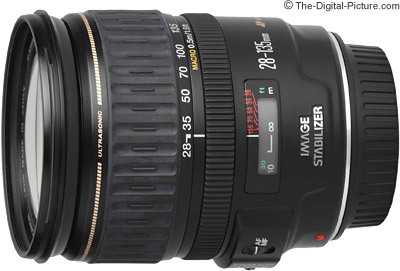 B&H has the Canon EF 28-135mm f/3.5-5.6 IS USM Lens in stock. Fresh on the heals of their Canon EF 35mm f/1.4L II USM & Sony FE 35mm f/1.4 ZA teardowns, LensRentals has now opeened up the Sigma 35mm f/1.4 Art lens to see how its construction compares to the other two. "For the most part, there weren't many surprises in this teardown. We've seen how Sigma has remade themselves as a company making only superb optics at very reasonable prices in the last few years. This lens is constructed very well. There isn't the amazing heavy-duty construction of the Canon 35mm f/1.4. Instead, I'd characterize the construction of the Sigma as very efficient and carefully laid out. There's a solid metal core with other parts all connecting directly to that core. Little touches like pegs to make sure a part is inserted in the proper rotation and shields over critical parts didn't add much expense or weight, but show care was taken in the design. There's nothing in this teardown that looked like a weak point." You can find links to the other 35mm lens teardowns at the beginning of the this teardown. B&H carries the Sigma 35mm f/1.4 DG HSM Art lens (review).